We know we talk a lot about different trends. Whether that's when we've spotted a few A-listers wearing identical tops or just a couple of our favourite bloggers walking around in the same pair of Mango shoes, we like to know what everyone's wearing (and why). And while this is all great anecdotal evidence, we love some hard facts now and again to tell us what everyone is really shopping. Edited, a startup based in the UK that tracks retail inventories, and therefore what everyone is actually buying, has revealed the five biggest trends that every woman is shopping right now. 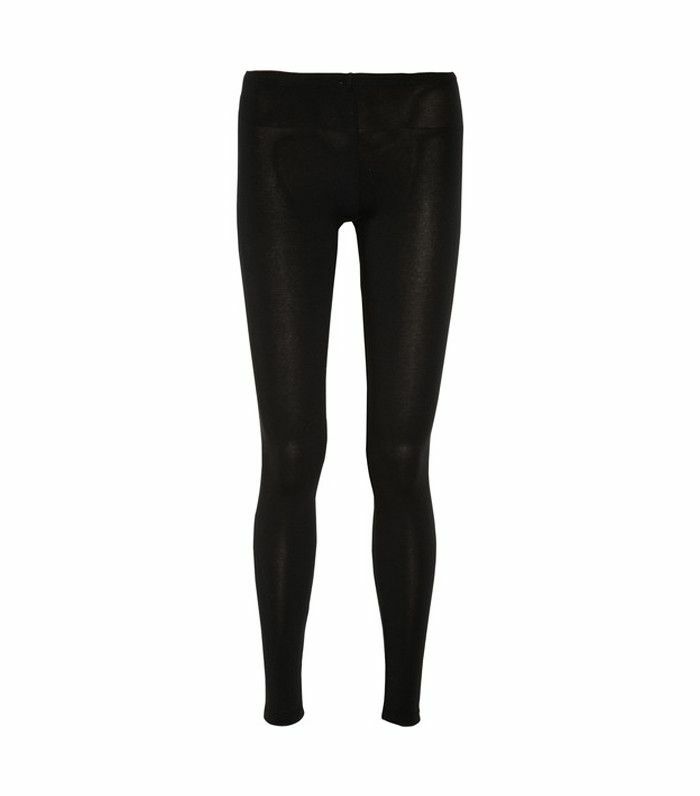 One item in particular, that will surprise no one, is that leggings continue to be extremely popular. However, we weren't quite expecting this finding. According to the report, women's leggings have seen a "historic rise" in popularity. This confirms everything we've seen so far, from luxe leggings worn by an increasing number of A-listers to seeing them at fashion week. These are clearly the trousers du jour. As for the other four items on the list, well, we're sure you can guess what they are. In fact, you probably already have them in your wardrobe. To find out, we suggest you keep scrolling and see what they are. Thanks to the rise of the health and fitness industry, leggings have exploded in terms of popularity. According to Edited, "49% of all bottoms currently in stock at our selected retailers are leggings." That's a lot of leggings. This year has been massive for the cropped flare jeans, whether that's the luxury jean or the less expensive high-street options. Edited confirmed this by reporting that there are "more than five times the options available in the U.S. and UK this spring/summer vs. last, the cropped-length flare has been the fastest-growing shape of the season." Put down the skinnies, we say. While you could be forgiven that this is a passing summer trend, according to Edited, that's simply not the case. As more designers featured this look on the Autumn catwalks too, this trend is set to continue. Edited revealed that retailers increased "options of embroidered denim [by] 88% in the U.S."
The sales of slip dresses might be slowing down, say Edited, but expect to see them picking up again in the party season with a look to more embellished dresses in luxe fabrics. Big news for bomber jackets as they've been dubbed the "essential outerwear piece so far this year" by Edited. Adding to that, the data company revealed that "both the U.S. and UK have seen a huge investment here, with a 209% and 134% year-over-year growth respectively." Next up! One editor reveals why she hates skinny jeans and what the alternatives are for those who agree.